Bishop’s Stortford College is fully committed to a varied programme of healthy eating and we prefer to make our own meals on the premises from fresh ingredients. 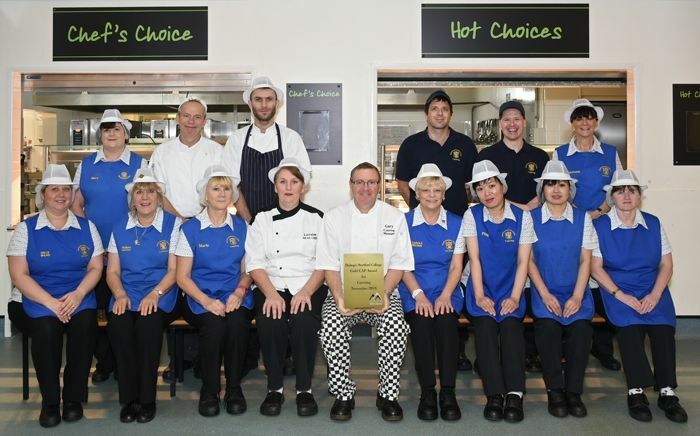 We are the first school in the UK to retain the prestigious Gold 'Continuous Advancement Programme' or CAP Award, promoting healthy eating, good practice and hygiene awareness in the kitchen and dining areas. All meals are served in the Bishop's Stortford College dining hall… and yes, good table manners and healthy eating habits are encouraged! The Pre-Prep and Prep School pupils have at least one member of staff sitting at each table to supervise and encourage good manners. Pupils' views are listened to, with a committee of pupils and staff who meet regularly with our catering manager to discuss ideas and feedback. Our Healthy Eating policy provides details of the practices we have in place to achieve high standards in healthy eating. 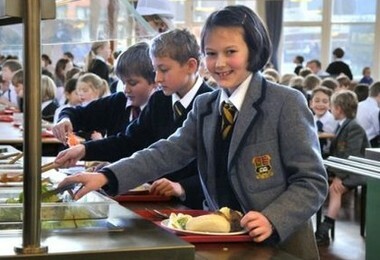 In the Prep School boarding house, snacks are provided at break-times, tuck boxes are available each evening and a tuck shop operates at the weekend. In the Senior School boarding houses, snacks are available throughout the day. Toast is a particular favourite. There are kitchen facilities for boarders who wish to flex their cordon bleu muscles! As a Catering Department, we are, of course, acutely aware of the dangers of excessive use of preservatives, colourings and flavourings. The menus reflect this with fresh cooked food provided, where possible. We serve squash three times a week, however we only purchase from one supplier (Quench) and all the colourings and additives are below the Government guidelines. One of the E numbers to be avoided is E102 Tartrazine: none of the Quench products contain this. In the packed lunches for pupils going on trips, fruit juice or water is provided. If any parent or guardian has any specific concerns regarding E numbers or additives in their child's diet, I would be more than happy to discuss the subject further. The catering team at Bishop’s Stortford College have won a Gold CAP Award for the sixth year running - setting a new record for excellence. After recently achieving top marks from East Herts Council for Food Hygiene, the College, with 1370 pupils, is now the first in the UK to claim the top prize for the highest quality food and service six years in a row from CAP. 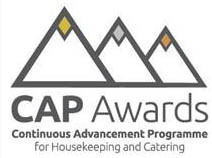 The CAP (Continuing Advancement Programme) Awards recognise excellence in catering and are regarded as the highest measure of quality, best safe practices and service. You can read more about the Programme here. The inspectors were also hugely impressed that there were regular catering meetings being held with day pupils and boarders. They also noted a calmness at service time and that care was taken when serving pupils. There was clear adoption of ‘best practices’ including management of COSSH and food storage. Gary Law, Catering Manager, said “I am very proud of my team, they work very hard to provide an excellent service to the pupils and staff for 3 meals a day, 7 days a week”. The College Headmaster, Jeremy Gladwin, said he was delighted with the two awards. He said: “To receive recognition from the local authority by way of retaining our five star status, and to win a CAP Gold Award for the fourth successive year is stunning. It reflects superbly well on the dedication of our entire team, led by Gary Law, to the pupils and staff of the College.